You can’t get any fresher than buying beer direct from the brewery. 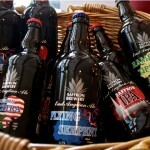 We can supply beer in a variety of size containers, so we are confident we can find the right one for you. 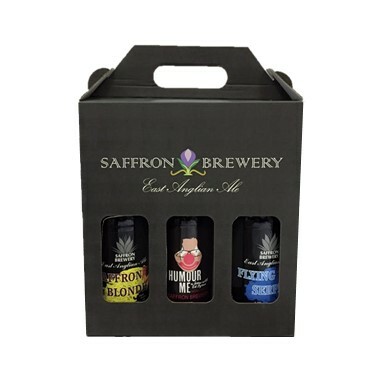 Running short of ideas for what to buy the beer lover in your life? Our new gift boxes are just the ticket. 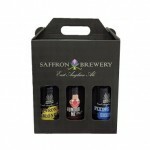 Choose from either 3 bottles, or 2 bottles and a logo glass (pint or 12oz Siam). Select your own choice of bottles or let us surprise you. (All bottles contain 500ml of our delicious beer). If it is a gift, we are happy to produce a voucher so the recipient can choose what they would prefer. A perfect solution for your next party. Holding either 18 or 36 pints, these provides a lighter, durable alternative to casks. Filled to order and available, by appointment, from the brewery. The unit is supplied with its own plastic tap to allow beer to be dispensed directly or through a pump. 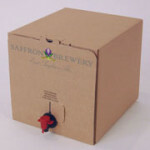 The one-way tap prevents the entry of air into the bag during dispensing, helping to maintain the quality of the beer. Available in Firkins (72pints) or Pins (36 pints). Traditionally associated with pubs, these are proving increasing popular with private events. 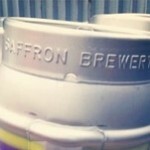 Haven’t seen Saffron Ale in your local? Ask your landlord to give us a call. If you are having a party, BBQ, sports fixture or other outdoor event, why not treat your guests to firkin or two of our fabulous ale. 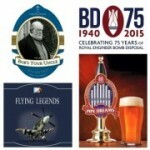 Delivered to your venue with everything necessary to serve the perfect pint.